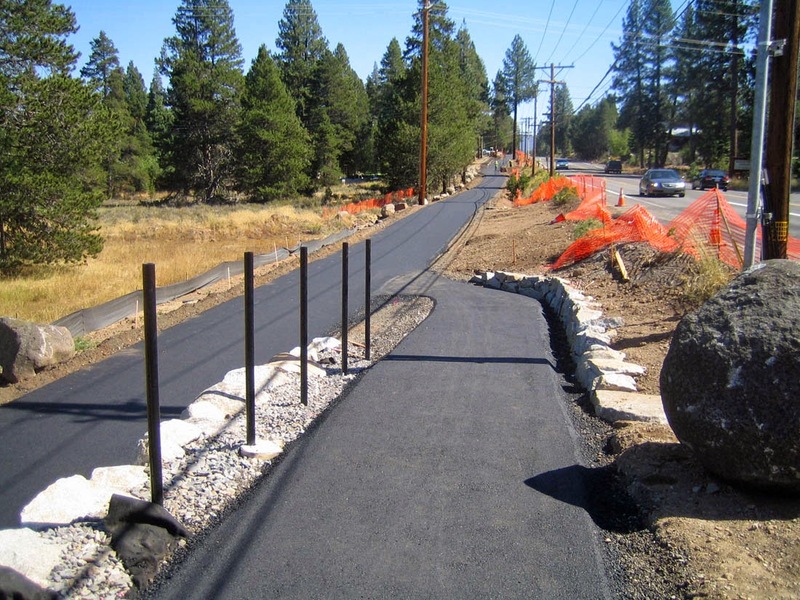 The Town of Truckee is committed to improving bike transportation and recreation. There are 3 major bikeway improvement projects currently under construction right now. The Brockway bike trail travels alongside Brockway Drive from "The Rock" business park to the rodeo grounds in Truckee Regional Park. The trail has been paved and is nearing completion. This new trail will provide safe bike and pedestrian travel to the business park from downtown Truckee. Construction began this summer on the phase 3b extension of the Truckee Legacy Trail. They are currently working on a one-half mile section near the water treatment plant. 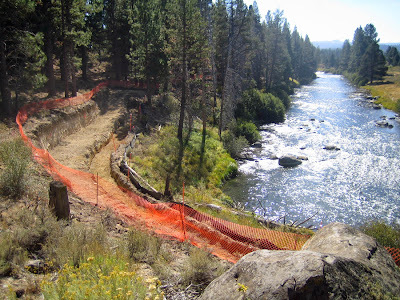 The trail construction involves major grading and drainage work next to the Truckee River. 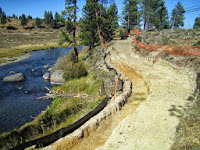 The trail will connect the the east end of the Legacy Trail to Martis Creek when completed. Continued phases will connect the trail to Glenshire. Truckee to Glenshire road widening project. The multiphase street widening project on Glenshire Drive is under construction between Berkshire Circle and Highland Avenue. 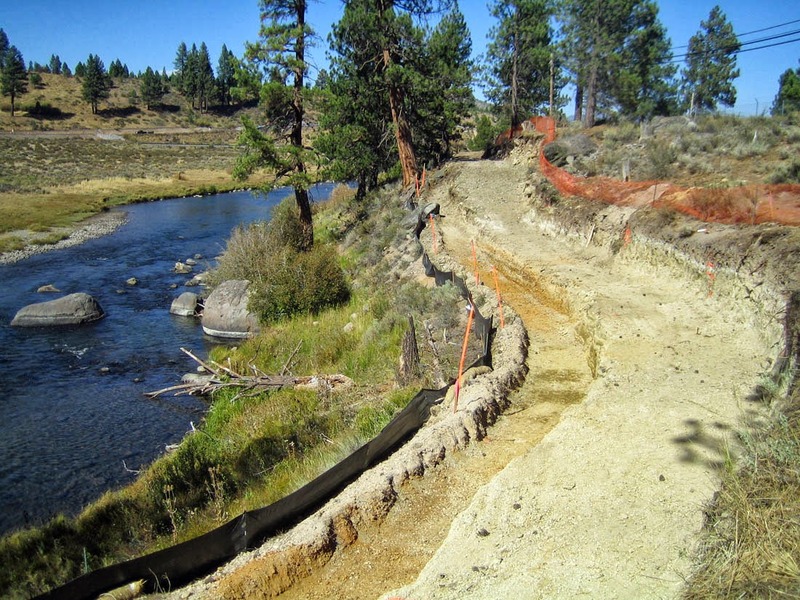 The construction on this 2.8 mile project has been limited to drainage, rock walls, and slope stabilization so far. This widening project is scheduled for completion in October of this year. The road widening project will allow 5-foot wide bike lanes in both directions. Phase 2 of the widening project will begin in the summer of 2014. Glenshire Drive is currently a shoulderless roadway that is unsafe for bicycle travel.